The Evite started like this: “It’s that time of year again when chocolate, champagne, and hot tub are found in the same sentence”. 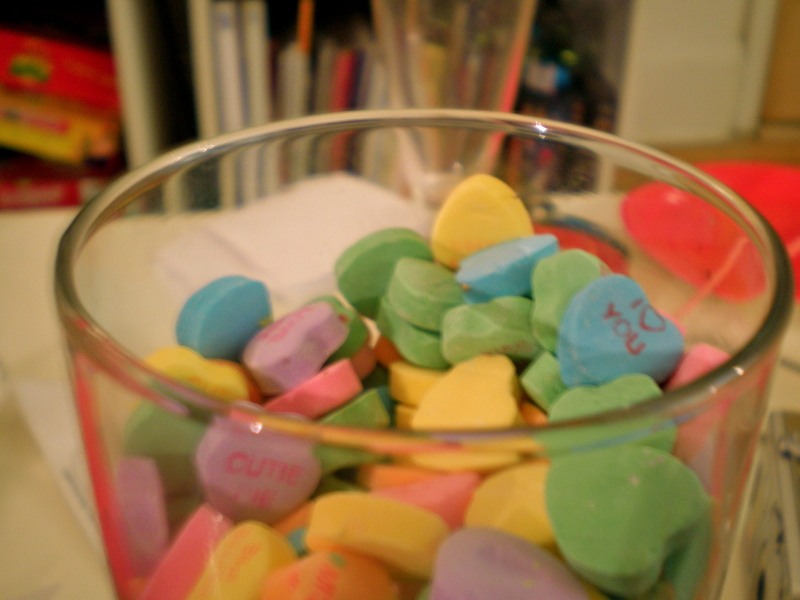 It was Monday, last week, and my roommate and I were already planning our annual Valentine Soiree. To be honest, planning things like these wouldn’t nearly be as much fun without her. I do believe we make one helluva team mainly because of two things: we love wine, and we love wine. So because of this, we find excuses to indulge this favorite pastime..namely the soiree. Like myself, my roomie also loves to cook and we planned on a menu that wasn’t too heavy yet still satisfying. The spread was light fare, both sweet and savory (my fave!). Like last year’s soiree, we repeated the tradition that everyone bring a bottle of their favorite wine of choice. Needless to say, intoxication was imminent, but that’s ok – we had planned a few fun games to exploit that. For those in attendance, it was definitely a night to remember: clothes were shed, eating utensils touched body parts that usually don’t see the light of day, aaaand I definitely saw things I definitely didn’t plan on seeing… well let’s just leave it at that. This is a food blog after all, not last night’s confessions! 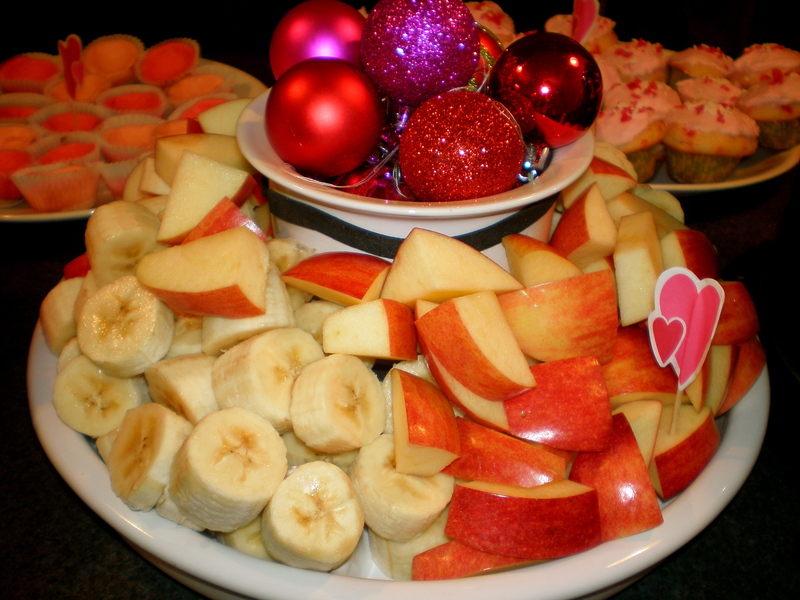 Since most of the treats were finger food, we kept it simple by using super easy recipes which made it convenient in making huge batches. I took pictures of most of the dishes along with how-to’s. Enjoy ! Step 1: Preheat oven to 350 degrees F and line a cookie sheet with foil. Step 2: Cut the bread into disks, about 1 inch thick, more or less. When oven is at temperature, place bread in oven on middle rack and set timer to 7 minutes. Step 3: While bread is toasting, pour the olive oil in a frying pan and heat on medium-high. Step 4: Slice the onion in very thin half-moon slivers. When the oil is hot hot, sautee the onions until they caramelize into a nice golden brown. When done, set aside. Step 5: When the bread is done, take them out of the oven and let them cool. Next, cut the roast beef sandwich meat slices in half. Each crostini will need just one half of a slice (or double if you’d like). Set aside. Step 6: Next, roughly chop the roasted red peppers and set aside. Lastly, cut the fresh baby spinach into thin strips (chiffonade-style). Step 7: Squeeze a small amount of horseradish mayo on top of the bread, enough to cover the surface. 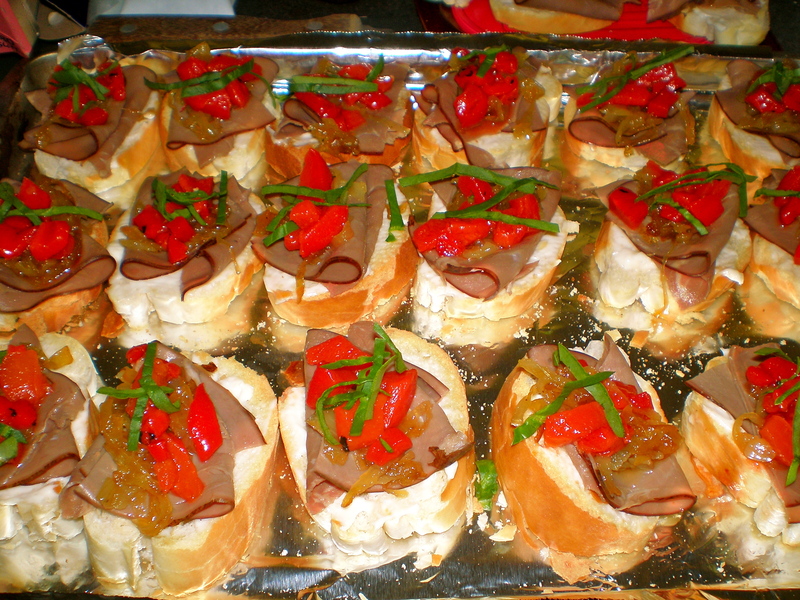 Step 8: Layer on the roast beef, and top it with a pinch of caramelized onion, roasted red pepper and a bit of spinach. 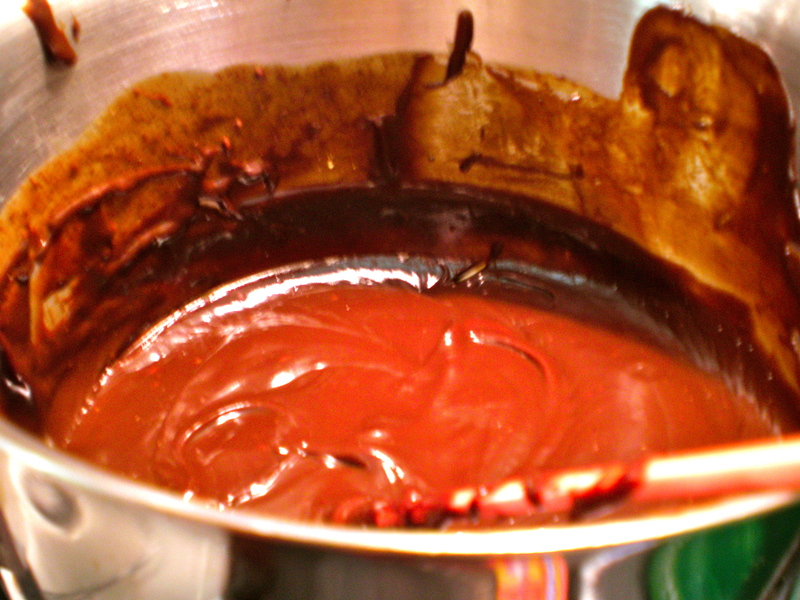 Step 1: Melt the chocolate in a double boiler or in a large bowl set over simmering water or in the microwave for a few minutes on HIGH (stirring every minute). Step 2: Stir in the caramel sauce and milk until blended and smooth. Step 3: Remove from the heat and transfer to a serving bowl. P.S. 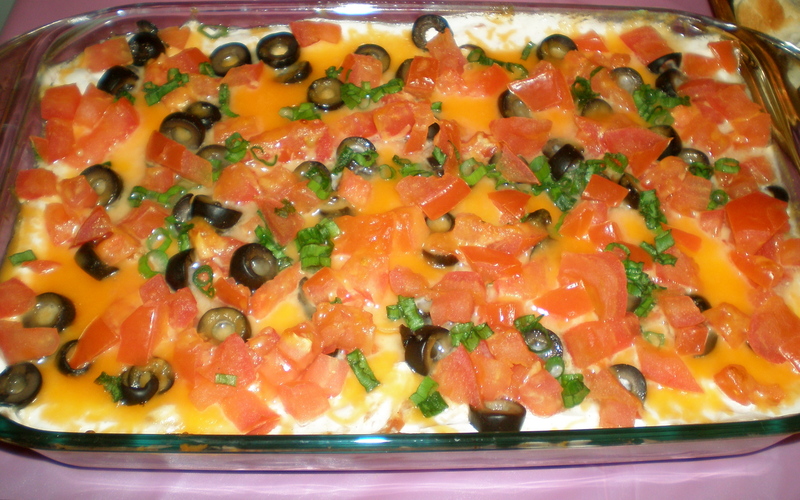 This dish can be made the night before and warmed pre-party. Step 1: Cut the bacon strips into fourths or halves, depending on how much bacon you like wrapped around the pineapple. 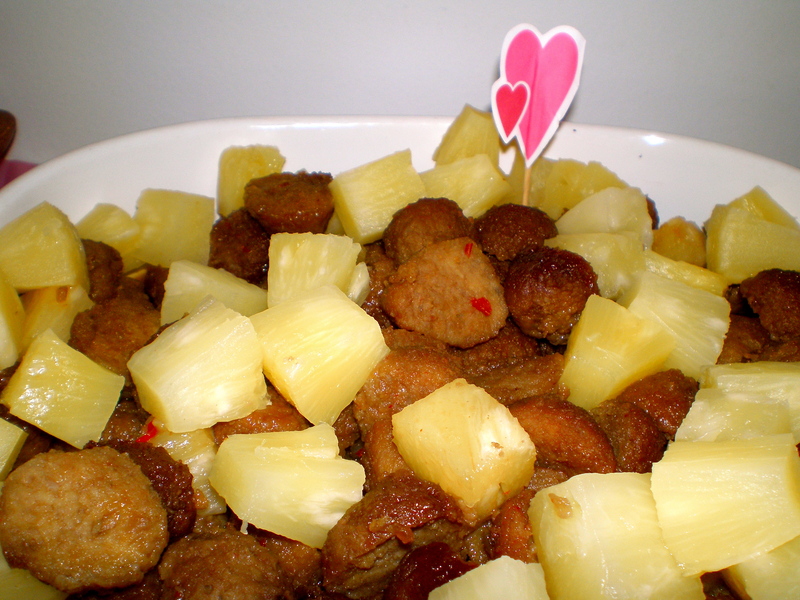 Step 2: Wrap the bacon around the pineapple and secure with a toothpick (or not. We didn’t). Step 3: Plate these on a foil lined tray about an inch apart and place them in the oven at 350 degrees F for about 15-25 minutes or until the bacon is as nice and crispy as you desire. Step 2: Place all ingredients into a crock pot set at the lowest setting (mine is 2). Let the meatballs cook for about 5-6 hours. Step 3: Stir halfway through the cook time to bring the meatballs at the bottom to the top and vice versa.When done cooking, stir in the pineapples, drain the liquid, and serve! 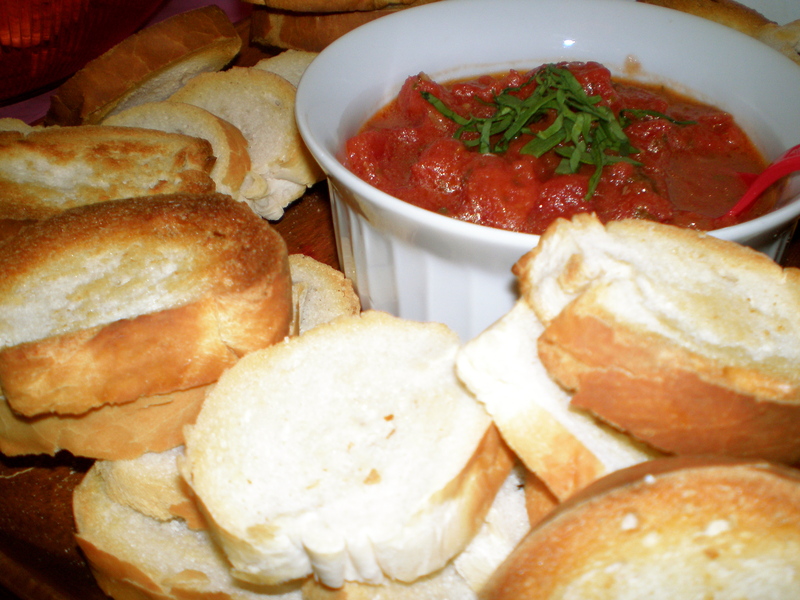 All we used for this dish was store bought Bruchetta from Trader Joe’s. If you haven’t tried it, I highly recommend it. It’s so tasty and fresh! We paired this topping with toasted baguettes. 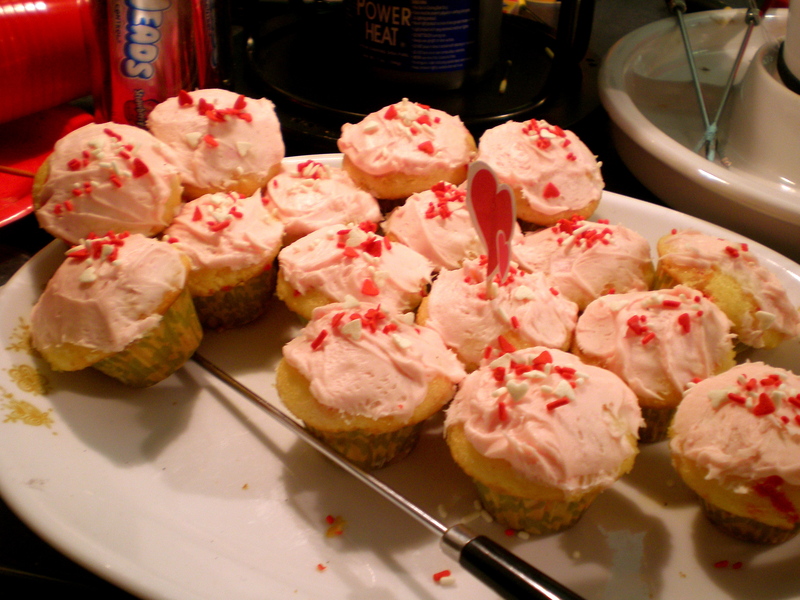 Of course, the night wouldn’t be complete without pink cupcakes! All cooking aside, we are passionate about entertaining and we enjoy spending time with lovers and friends…so what better time to celebrate this than by hosting a fun and simple soiree during Valentine’s Day weekend. 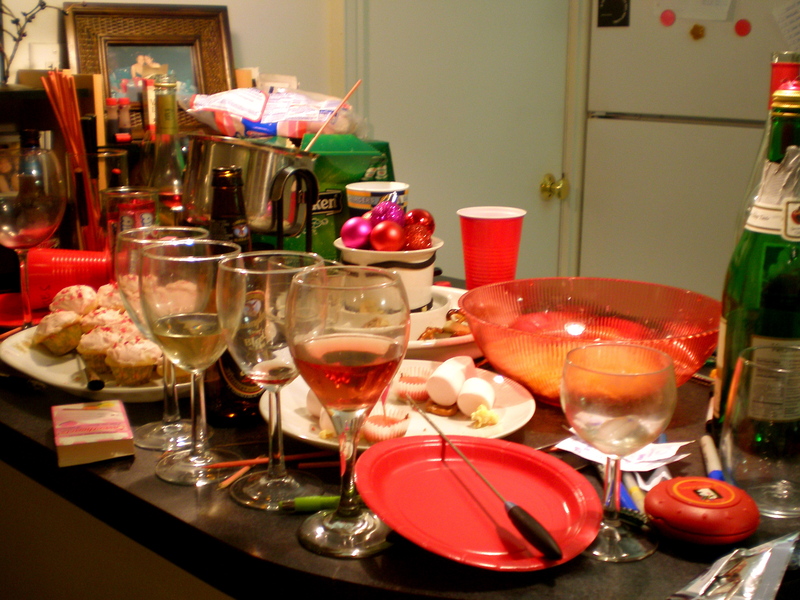 We’ve had many a soiree in the past, which budded from the mere idea of hosting a quaint cocktail party that eventually bloomed into an event with 50 plus girls in attendance. The local group has grown smaller over the years as many have moved away, started families, and started new jobs in other cities but we still love you and remember you nonetheless. We toasted in your presence that night and hope that those of you who are reading this (and have participated in our soirees in the past) know that you are not forgotten, but mostly, especially, you are missed. So in light of Valentine’s Day, I dedicate this post to those dearest to my heart (you know who you are) but especially to my roommate who, throughout the years with me, has hosted countless parties/get togethers/soirees that are so full of stories to reminisce upon, blush upon, and laugh upon up to this day. you and kat host the nicest parties! 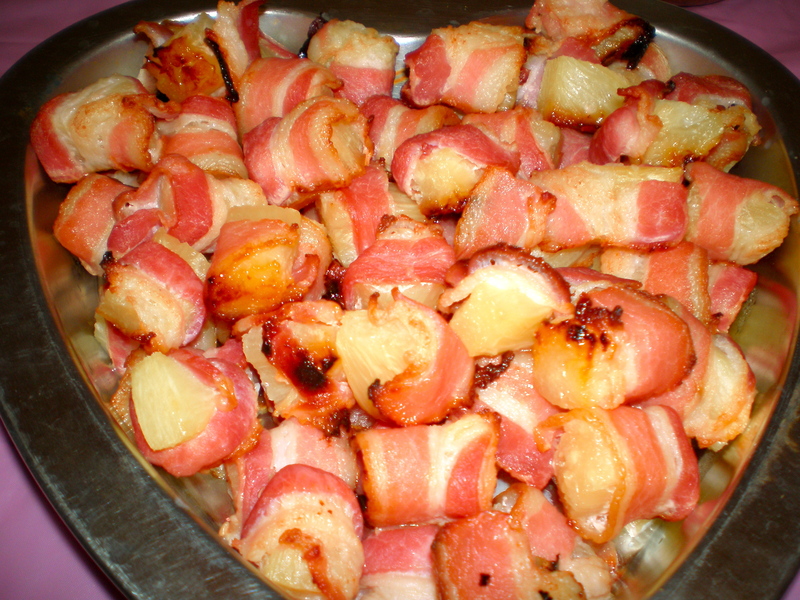 and bacon wrapped pineapple?!?! that sounds tasty! i keep coming back here and looking at your pictures. 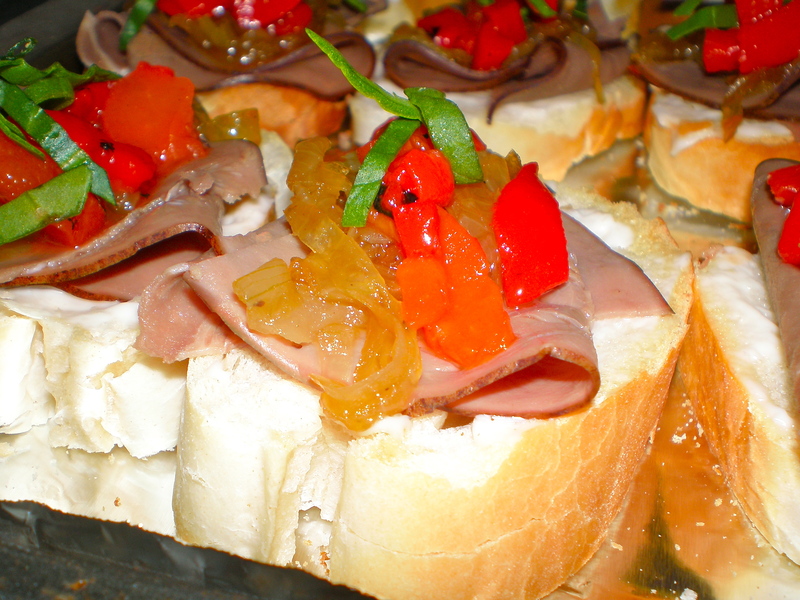 i wanna try that roast beef crostini. This looked like so much fun! And the food looks delish. Once again, sorry we couldn’t stop by. Please let me know about your next soiree. I miss you guys!